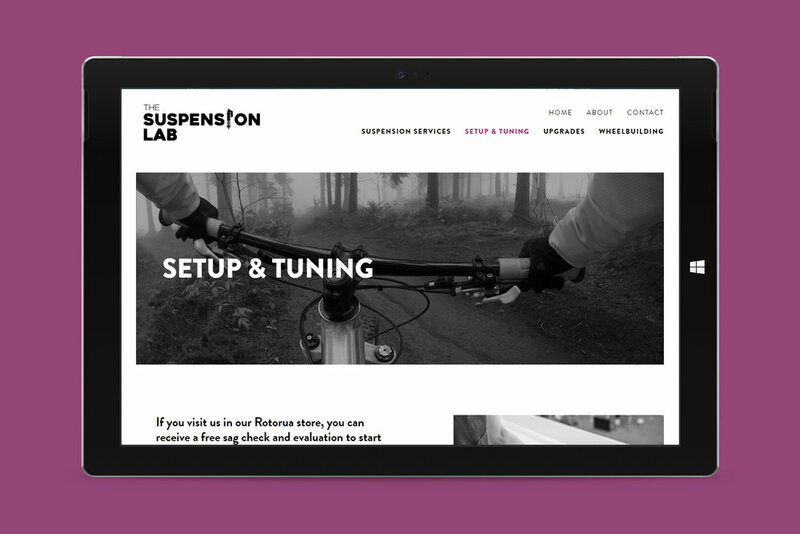 The Suspension Lab is a new business committed to making bikes better by offering specialised services in setup and tuning, upgrades, wheelbuilding, and of course, suspension. The shop has recently sprung up in Rotorua, and owner/operator Jono approached UpShift to build a website incorporating his existing branding. The Squarespace site lists all services and pricing provided by The Suspension Lab in an easy to navigate format, and includes a contact form for customers to book a slot to drop in to the shop.